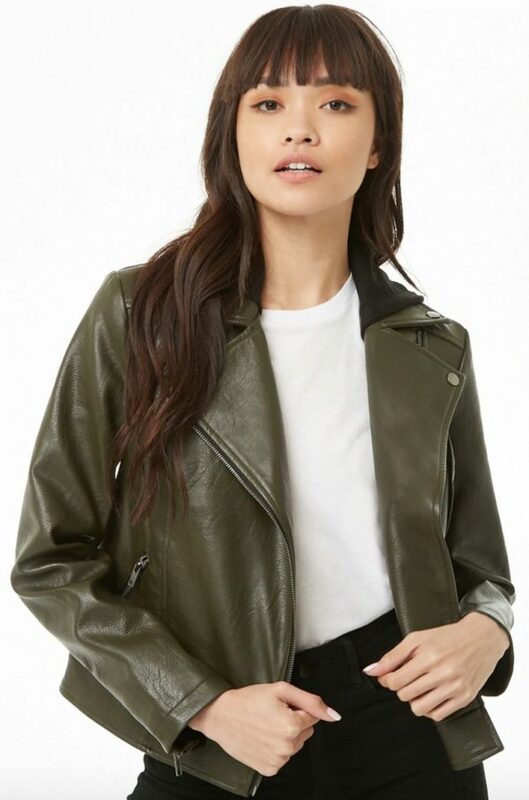 When you think of closet staples, a leather jacket should undoubtedly be at the top of your list. 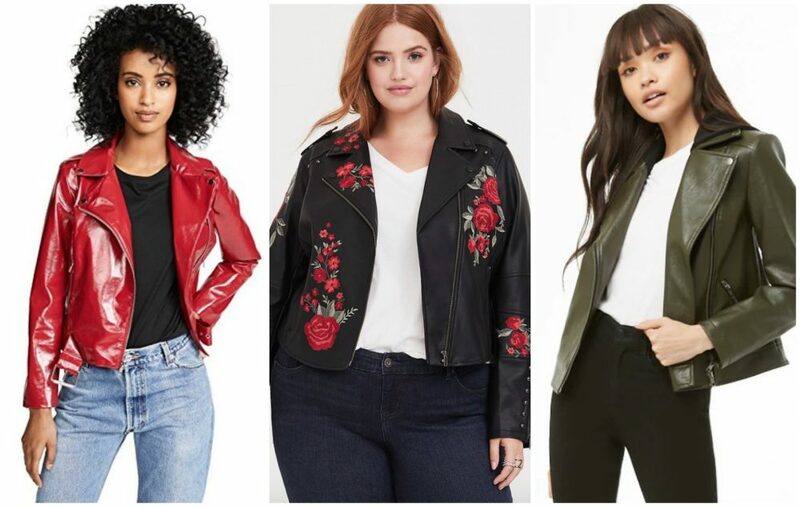 Whether you’re wearing a party dress or basic white tee with jeans, leather jackets complement just about every look. 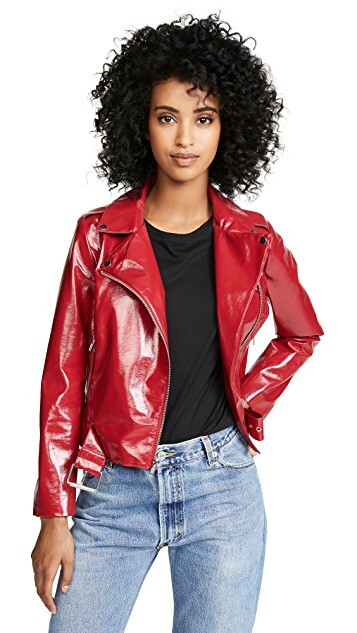 And if you’re on the market for ethical fashion finds, vegan leather jackets (also known as faux leather jackets) are a great alternative to real leather. 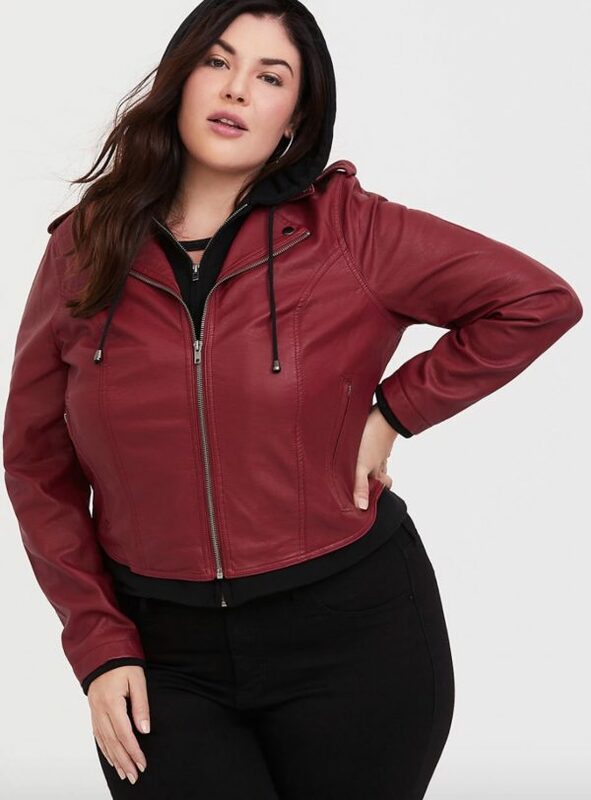 Not only are they more affordable than the real thing, vegan leather jackets are also often easier to maintain. Even better? 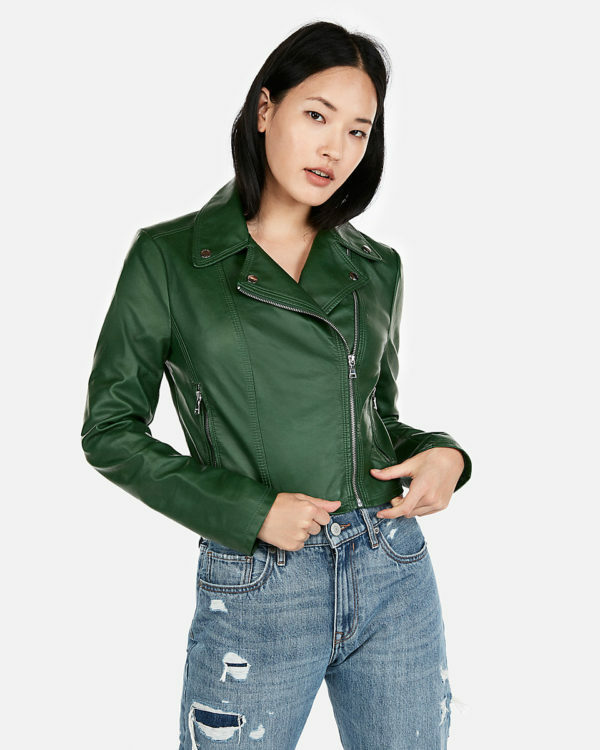 The overall look of vegan leather makes it difficult to decipher between faux and real. 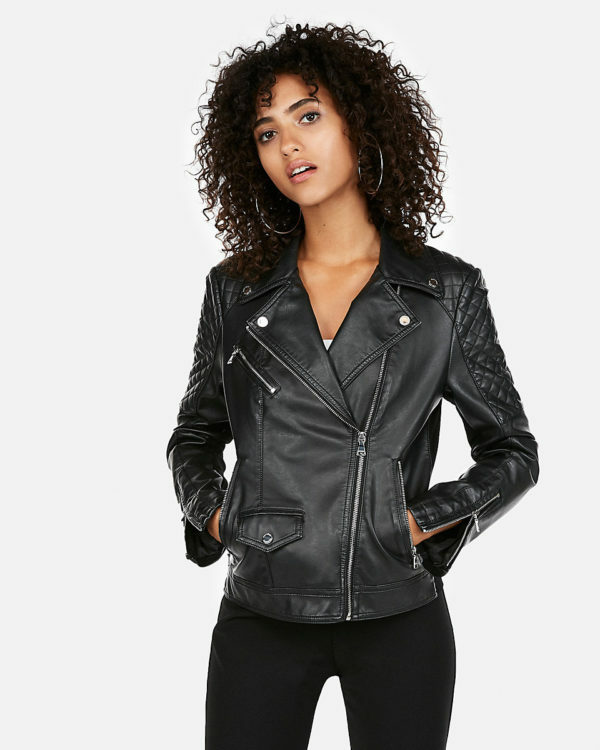 On the brink of leather jacket season, we’ve compiled a list of chic vegan leather jackets to shop right now. 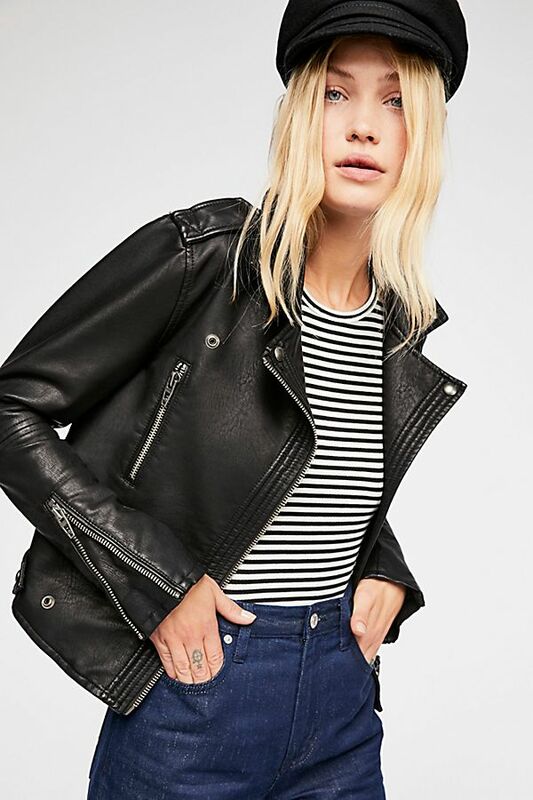 Most importantly, all of these faux leather finds fall under $200. 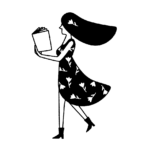 (We know holiday shopping is burning a hole in your wallets this season.) 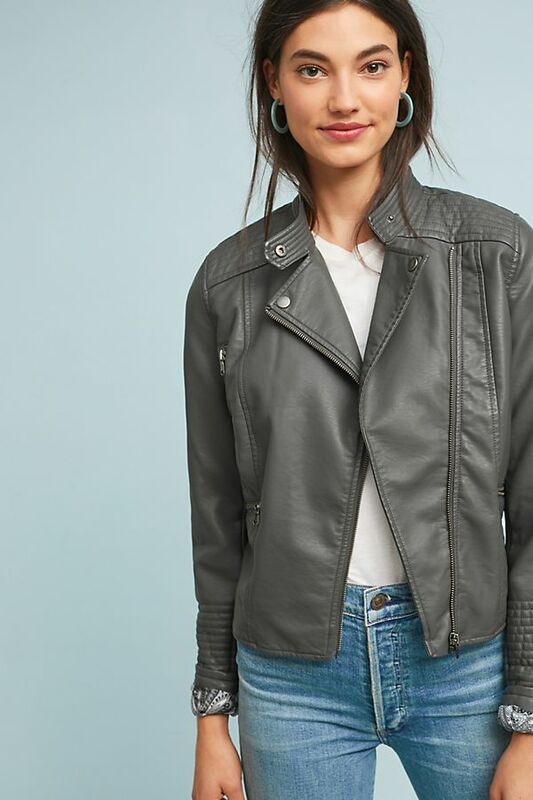 Below, 15 vegan leather jackets to buy. Pair these with your best white boots. 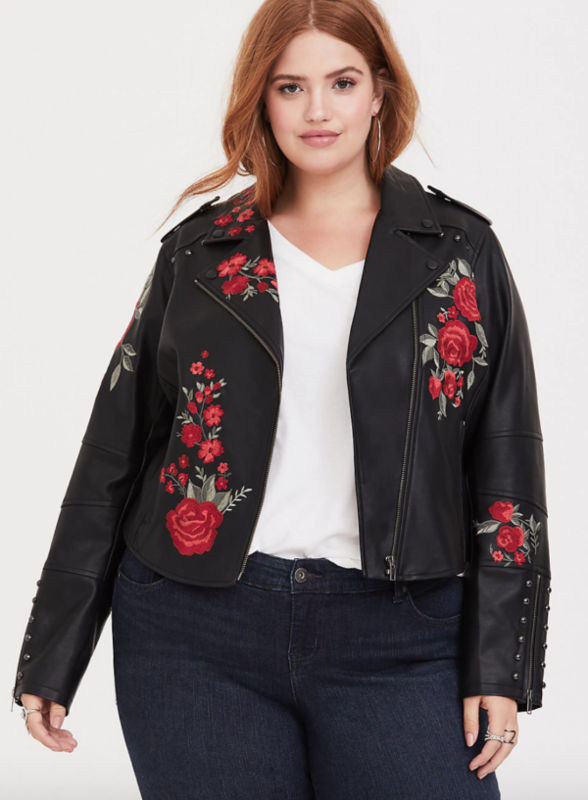 Assemble a biker girl gang with this moto. Add some florals to a closet classic. Opt for an unconventional pop of red. Or perhaps a crisp pop of white. Switch it up with a lighter charcoal moto. Channel autumnal shades with this pretty brown. 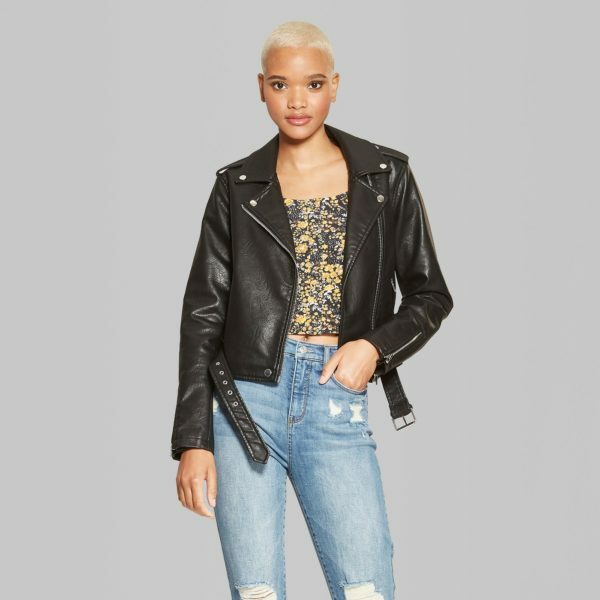 Elicit your inner rebel girl with this classic option. Pair this staple with a bold red lip. Complement the Christmas greenery with this olive option. Add some quilted detailing with this classic number. 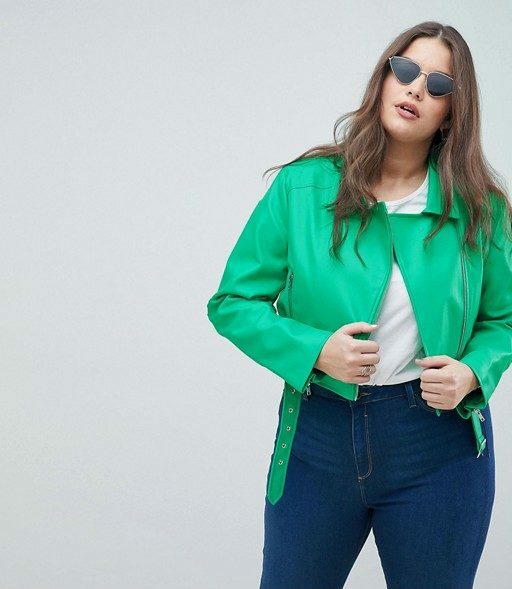 Be merry and jolly in this vibrant green moto. 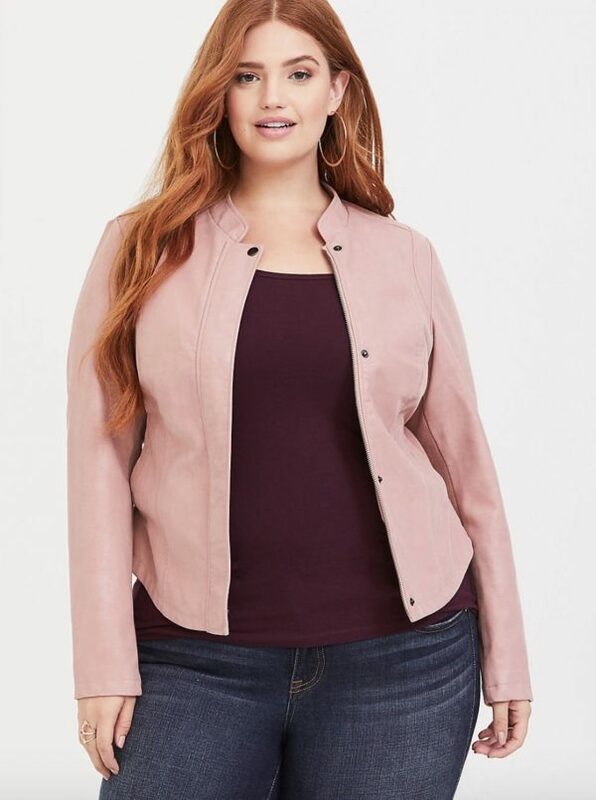 Match this pink number with some pink lipstick. 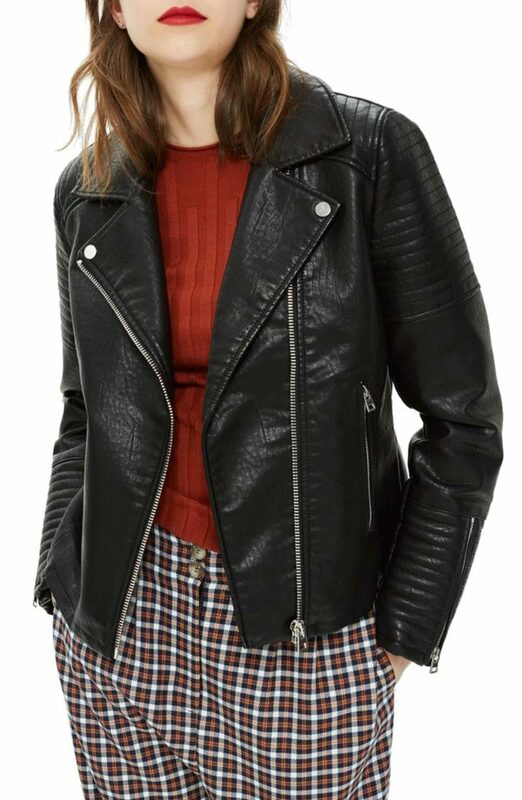 Channel your inner Buddy the Elf with this biker moto. Opt for a bold red with this shiny vinyl style.